Get some of the fun of being an owner with no cost at all. Get exclusive updates on all our horses around the world. 1st Chance to participate in partnerships. Special Offers on Breeding, Syndications and more. Competitions to Name a Horse. Invitations to Events at the Farm, at the Races and other Events around the World. Random Draws for Race Tickets and Giveaways. 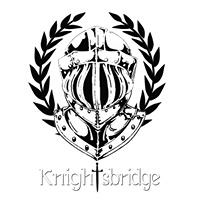 Random Draws for Knightsbridge Gear. Global Racing and Breeding News.